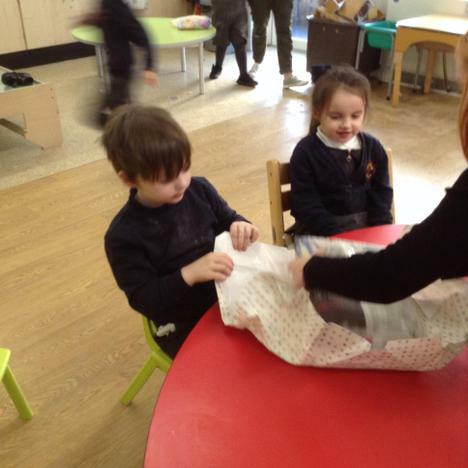 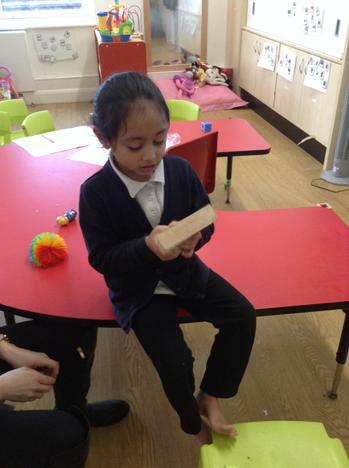 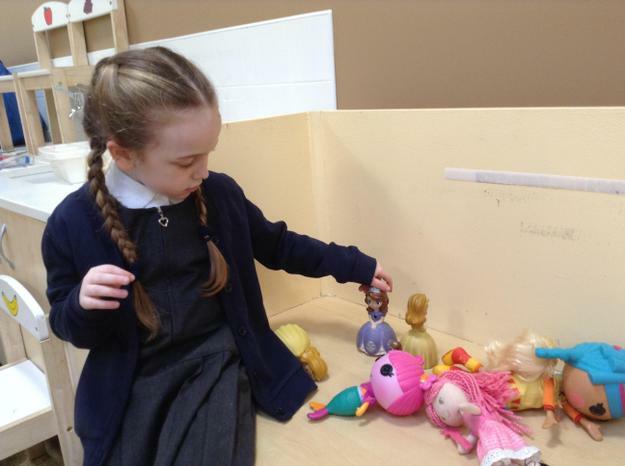 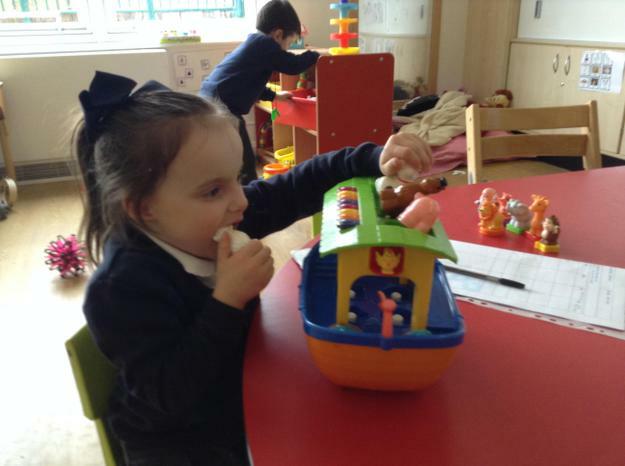 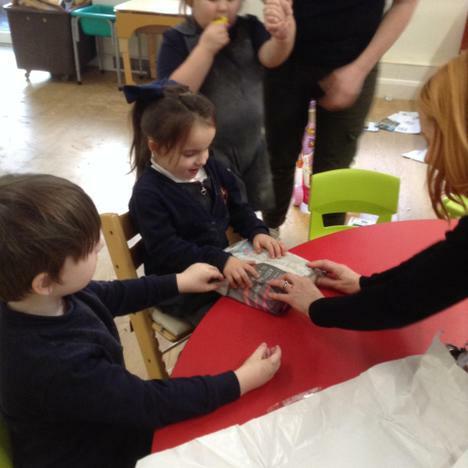 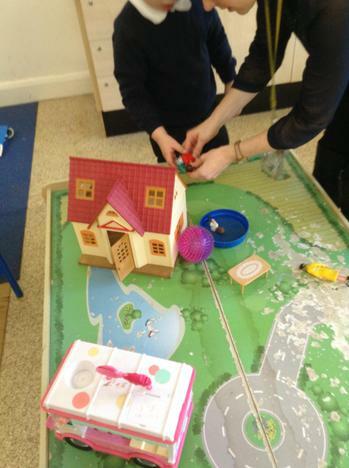 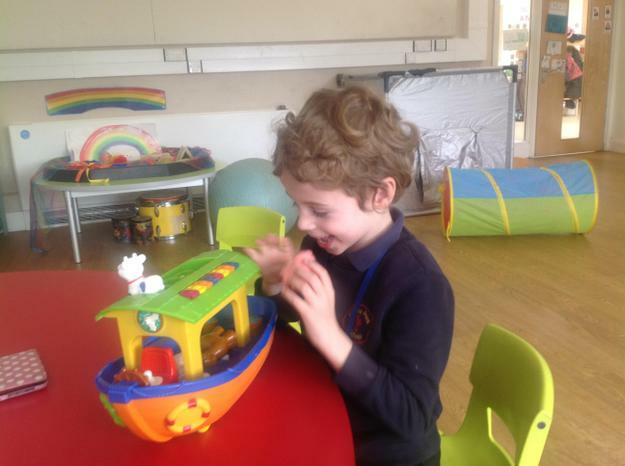 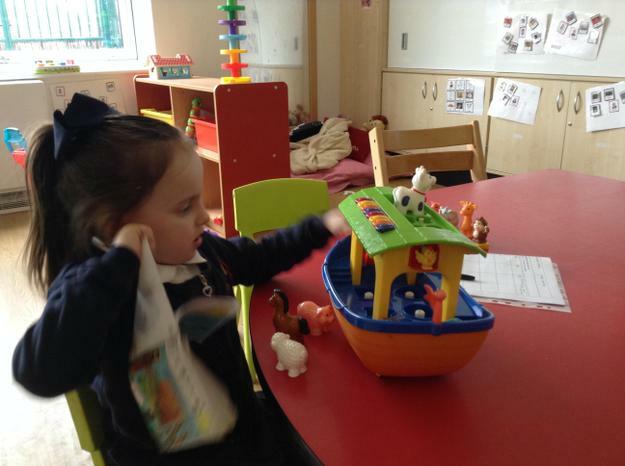 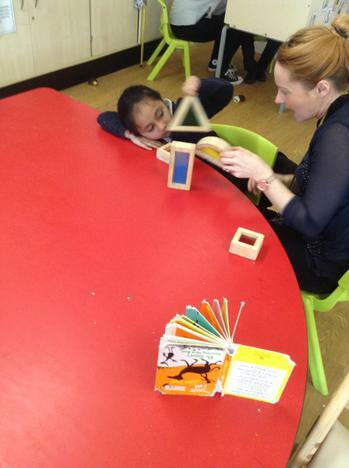 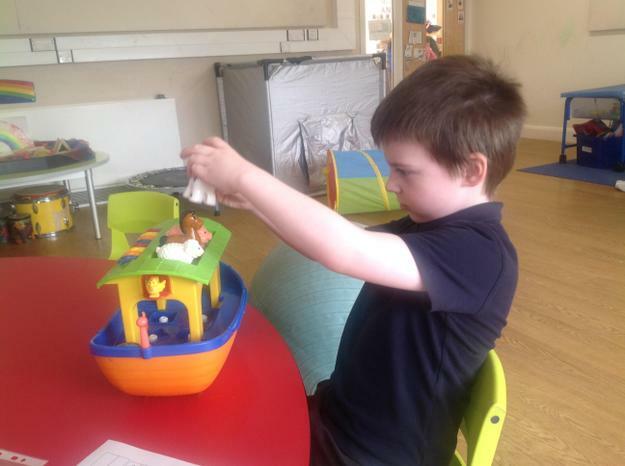 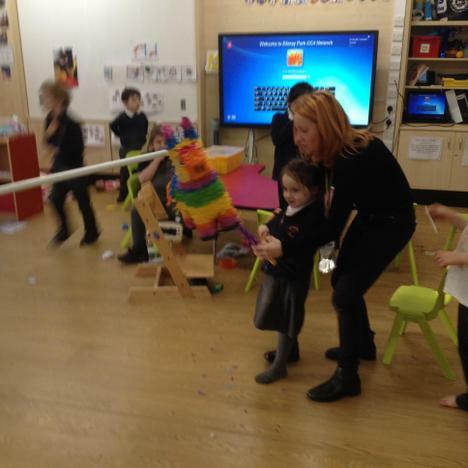 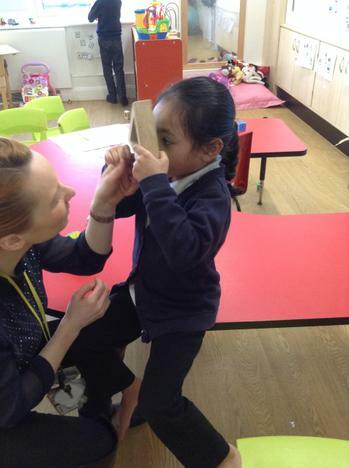 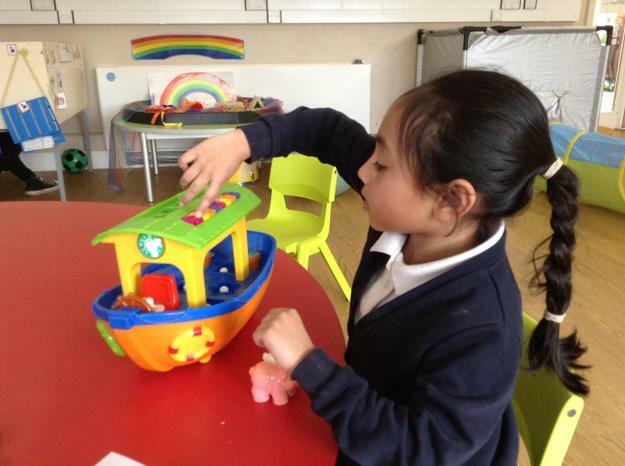 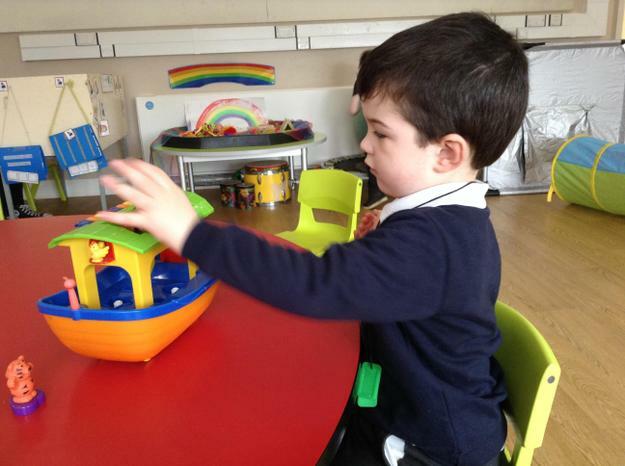 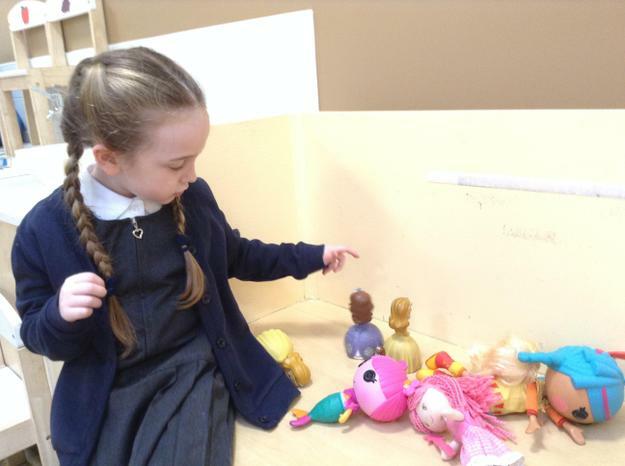 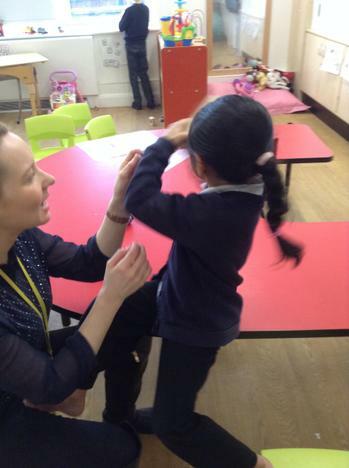 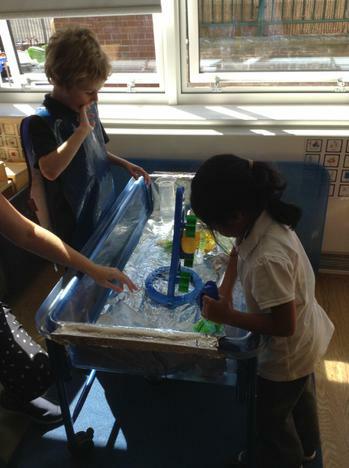 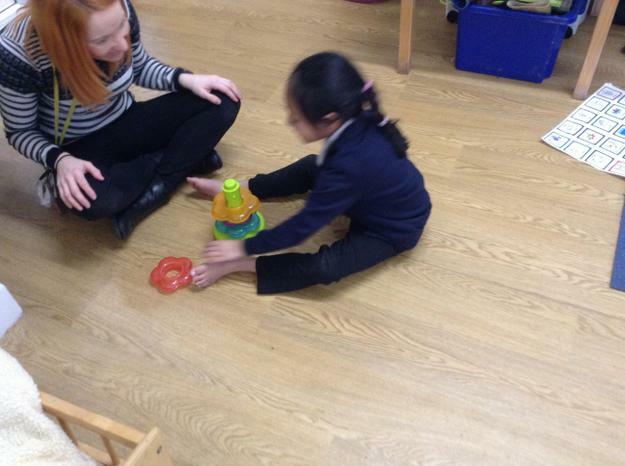 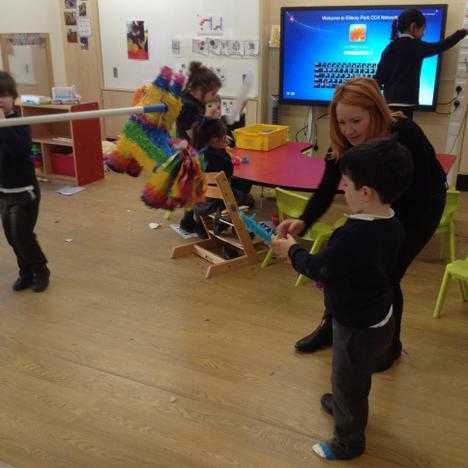 Some of our play activities this term have included playing with a Noahs ark toy as this was our focus story. 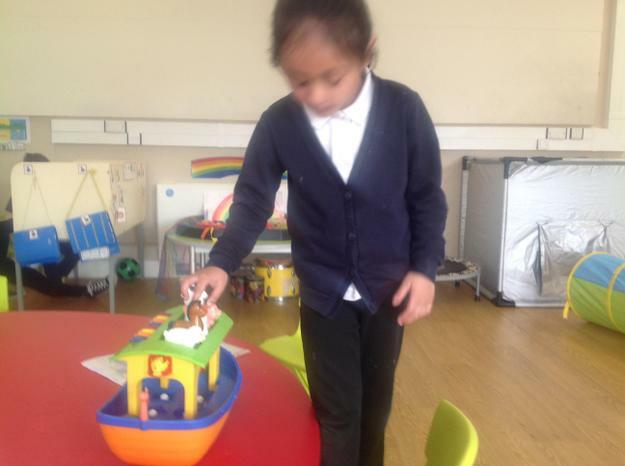 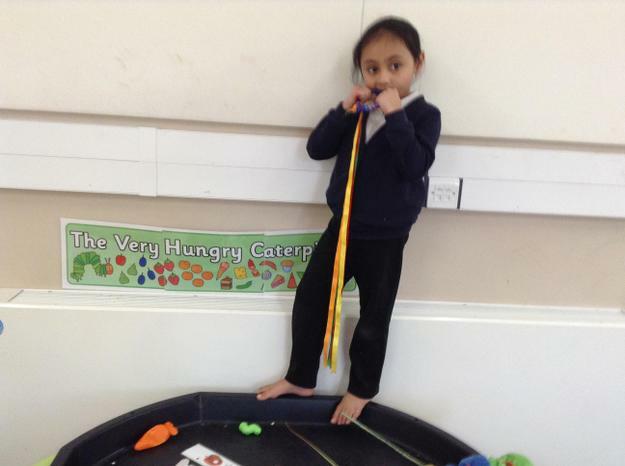 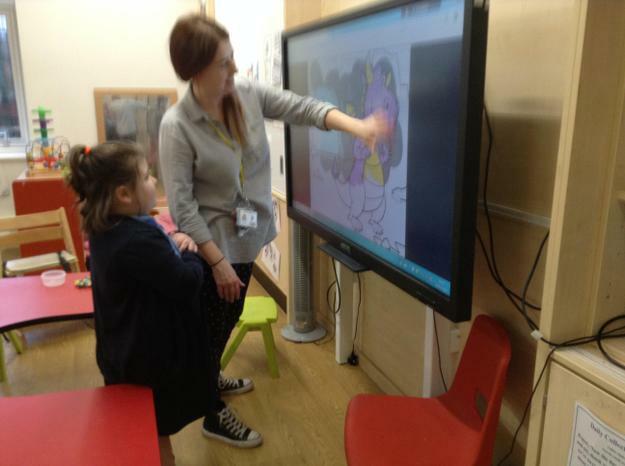 The children became familiar with the story and were able to put all of the animals onto the boat. 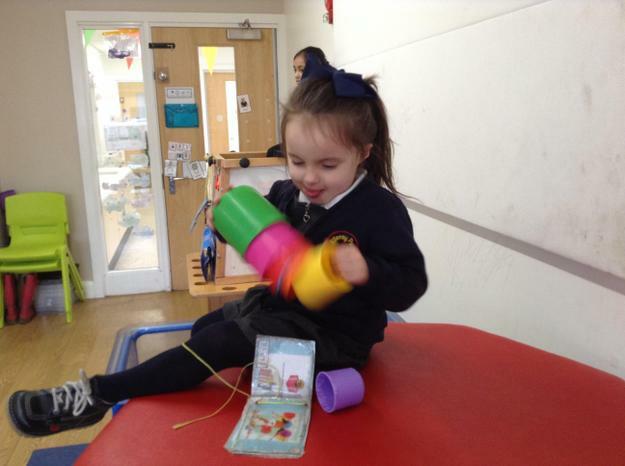 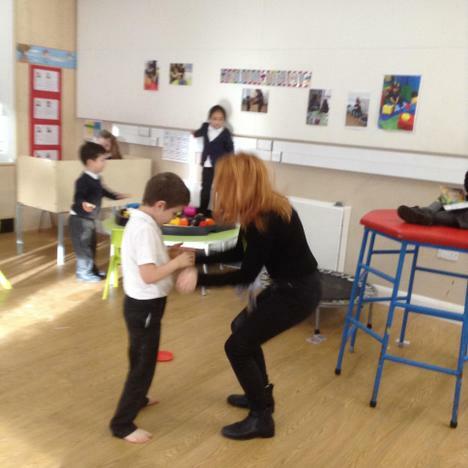 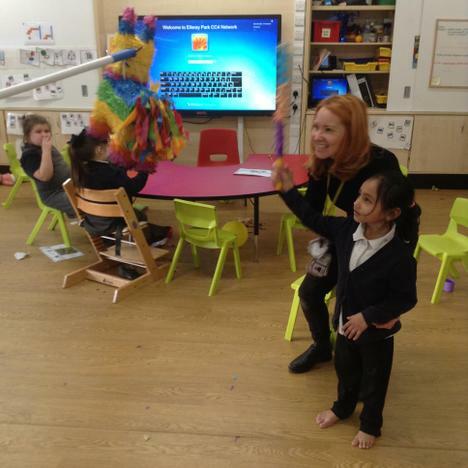 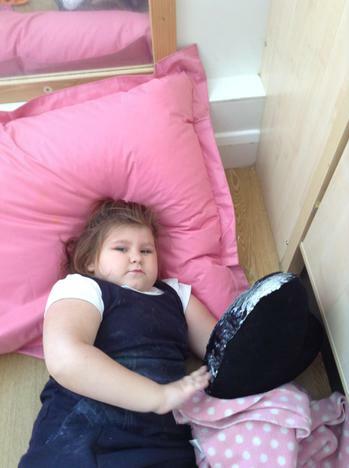 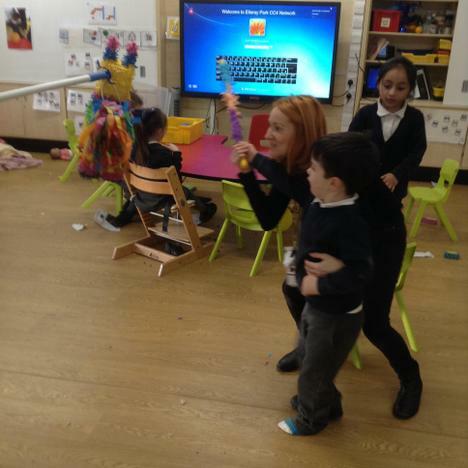 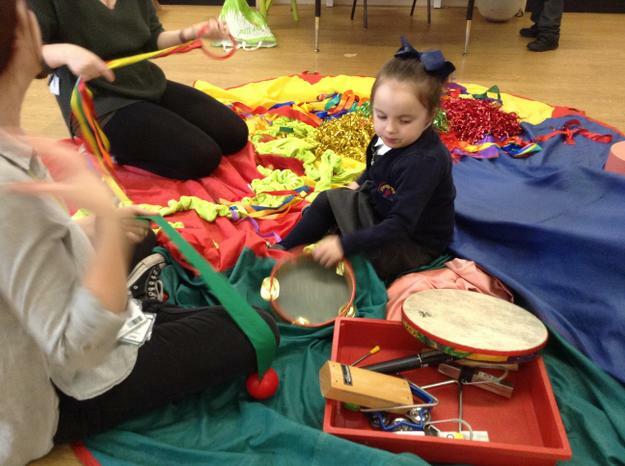 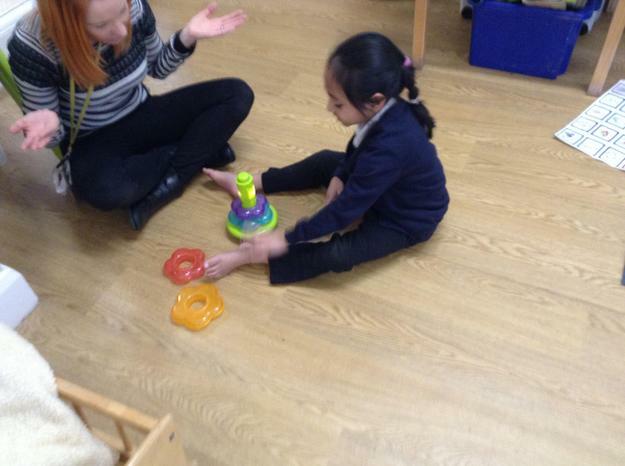 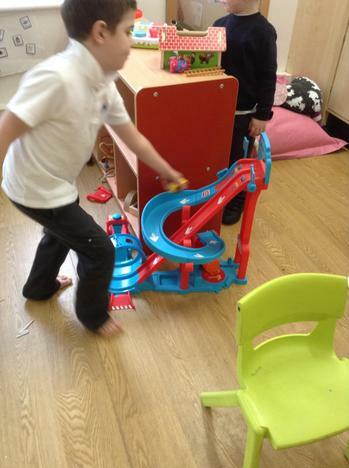 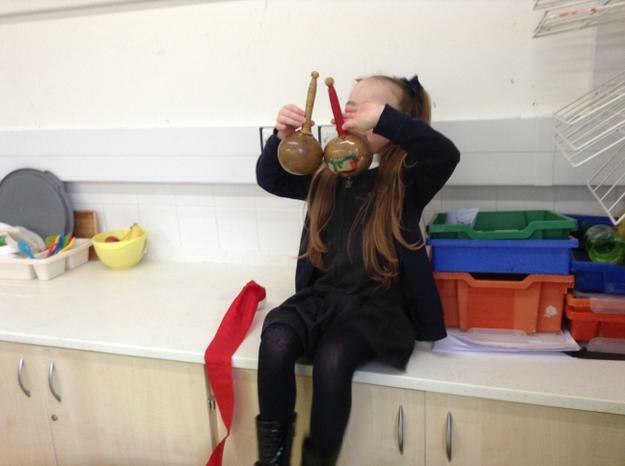 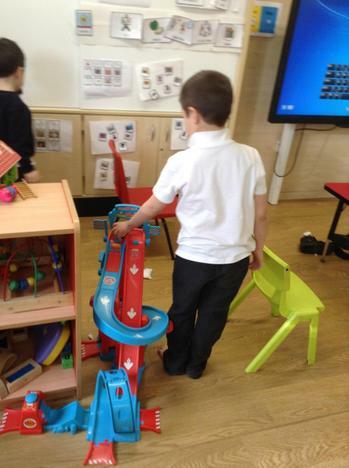 We have also enjoyed exploring the jabadeo equipment during our music session. 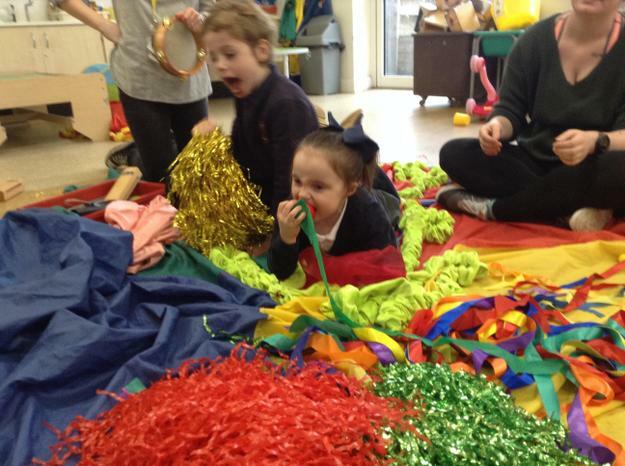 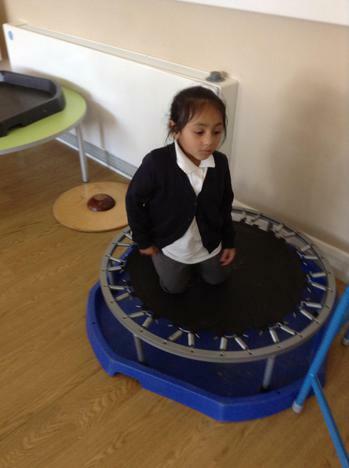 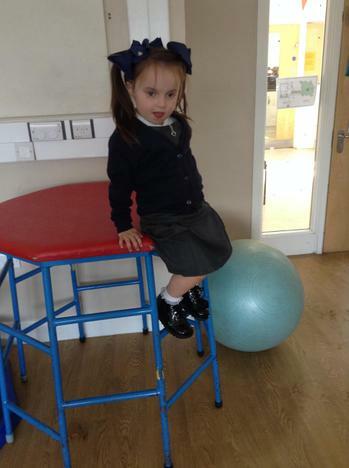 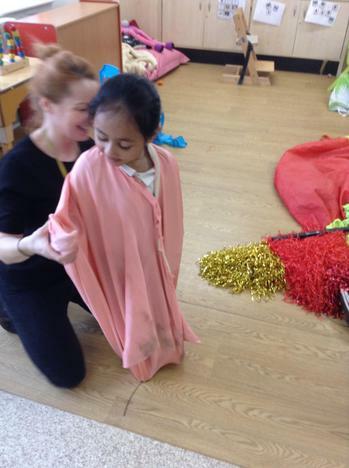 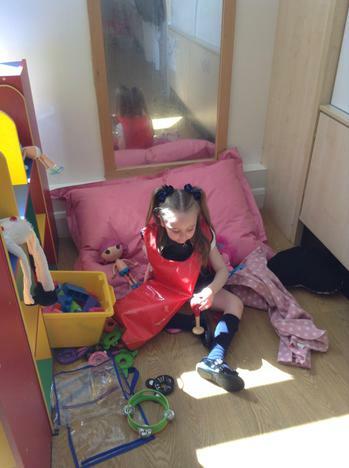 The children have enjoyed having the freedom to explore the parachutes, material, balls and pom poms independently. 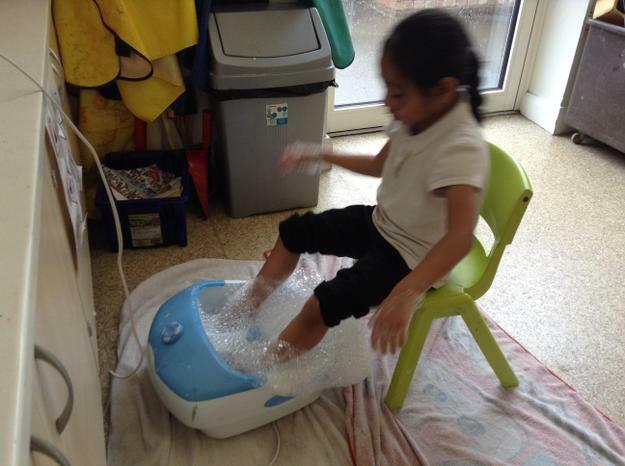 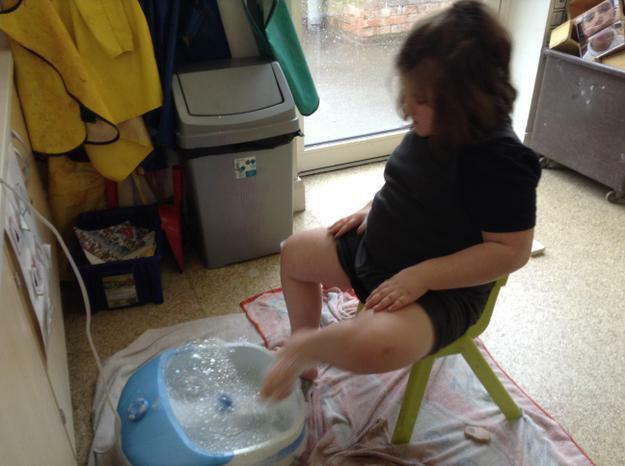 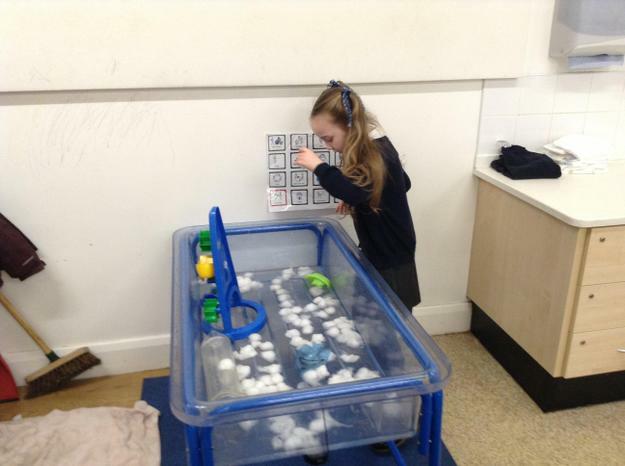 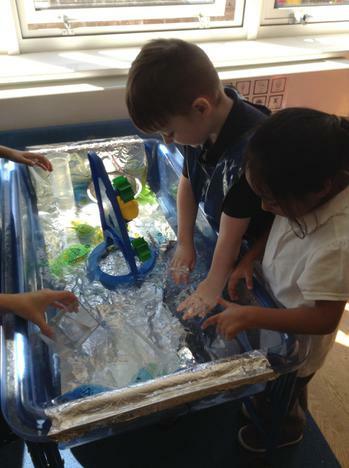 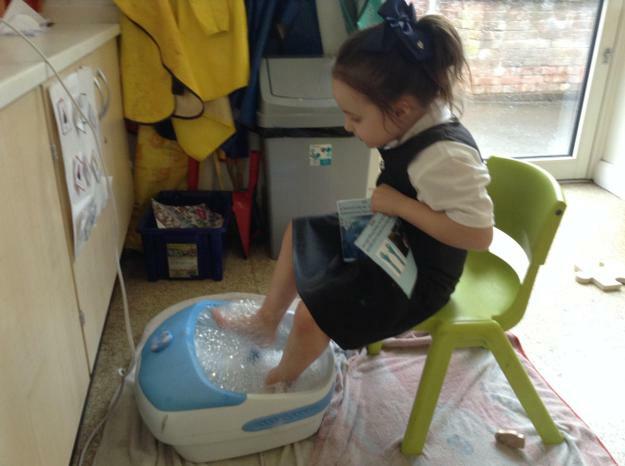 Some of us have also enjoyed playing in the foot spa! 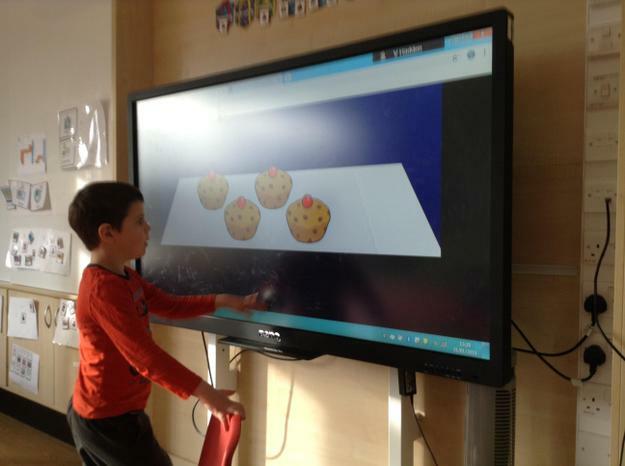 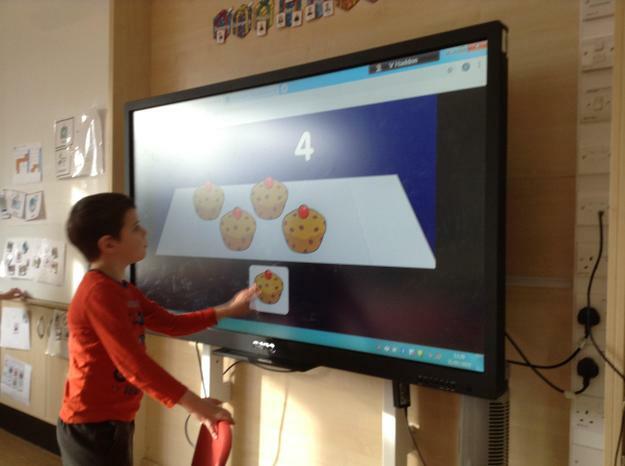 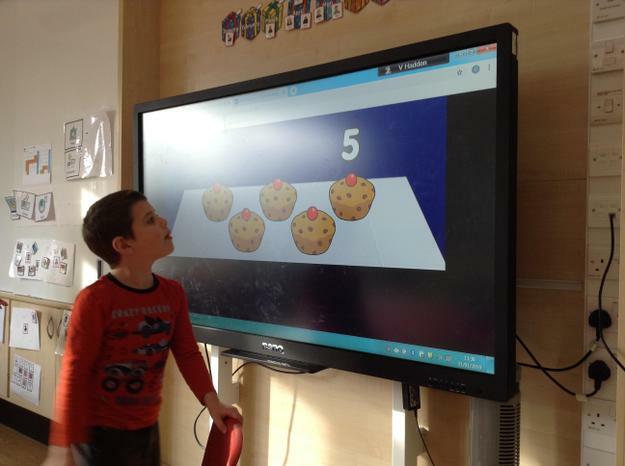 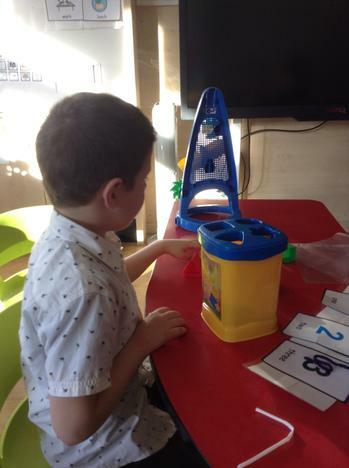 Play is a big part of the curriculum in Lime class and this term we have been incorporating our little big maths learning about amounts and familiar objects through play. 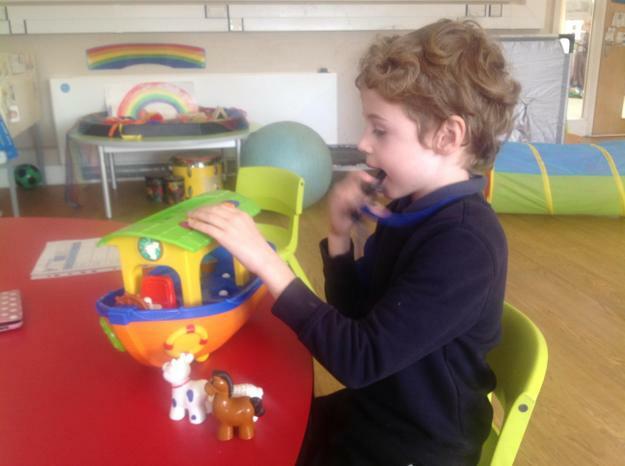 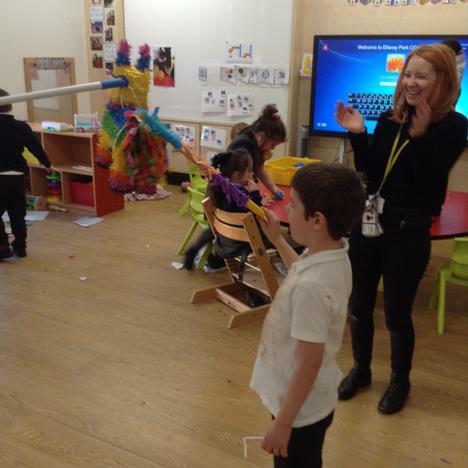 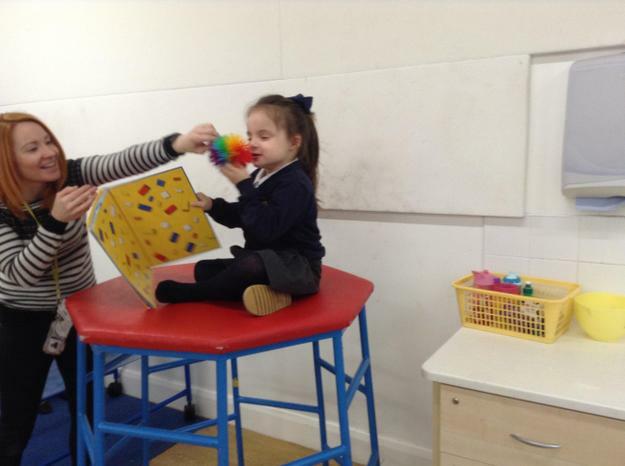 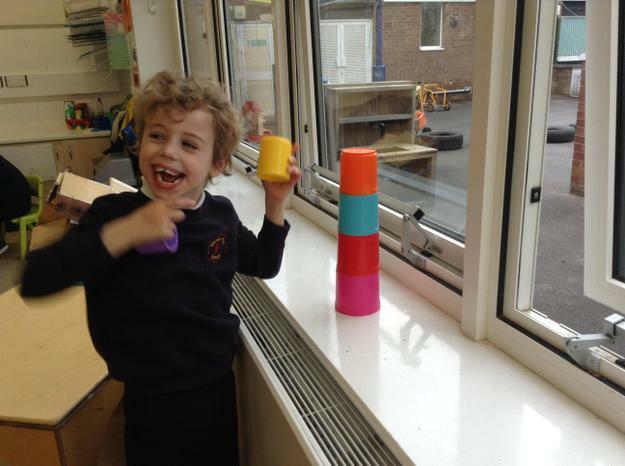 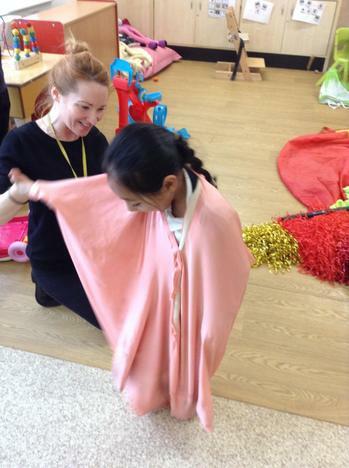 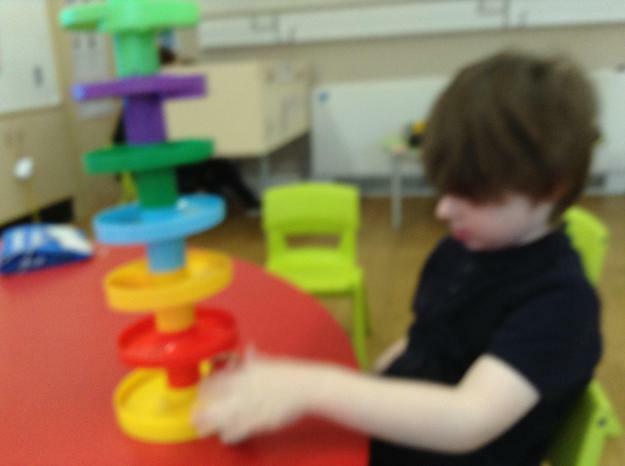 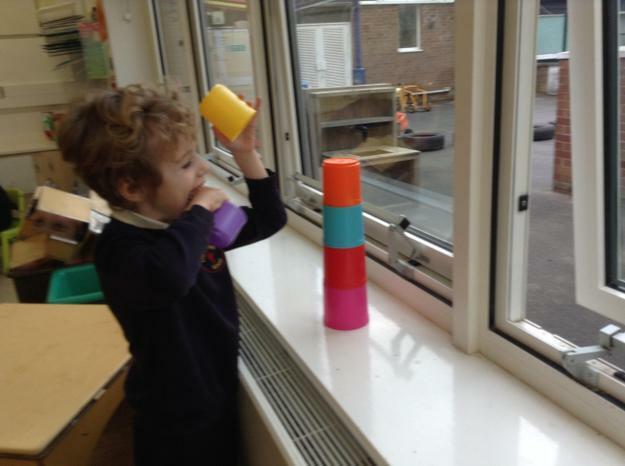 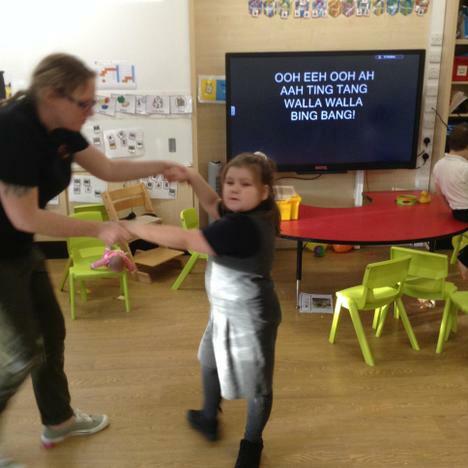 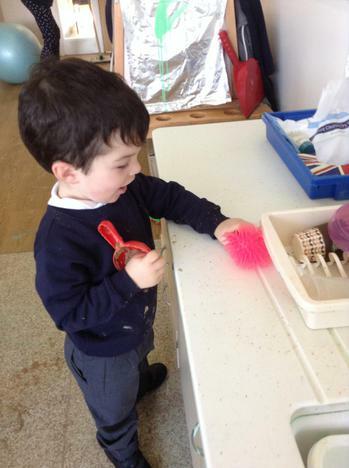 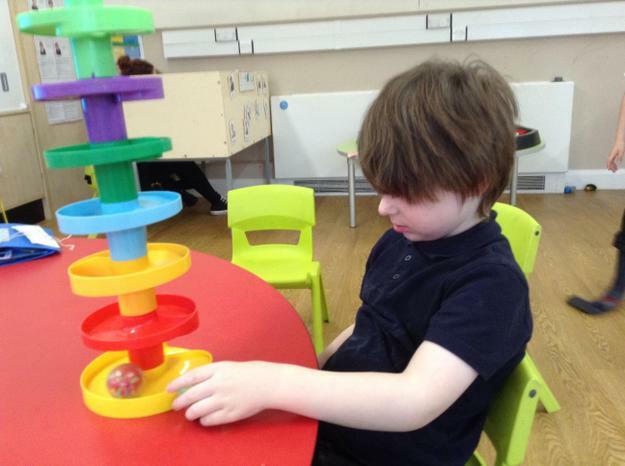 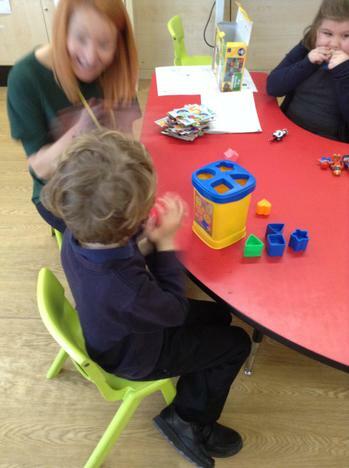 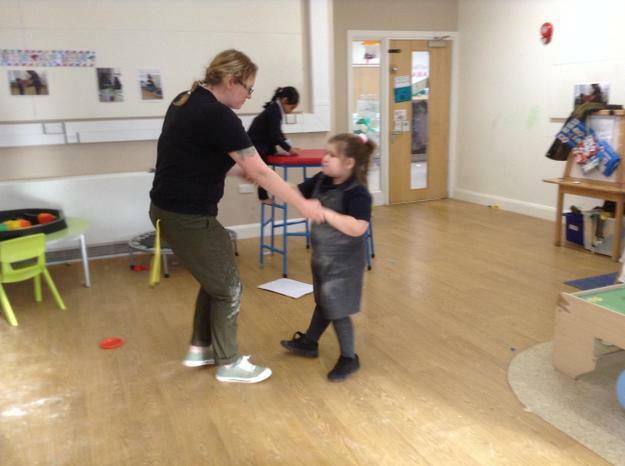 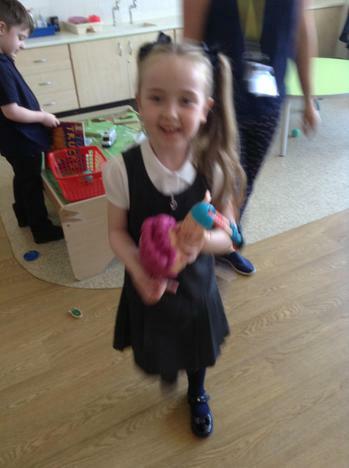 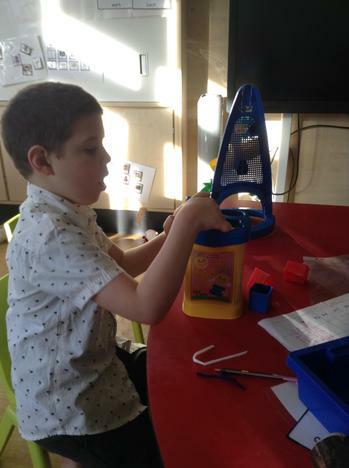 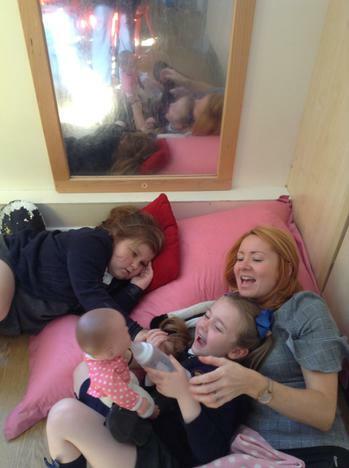 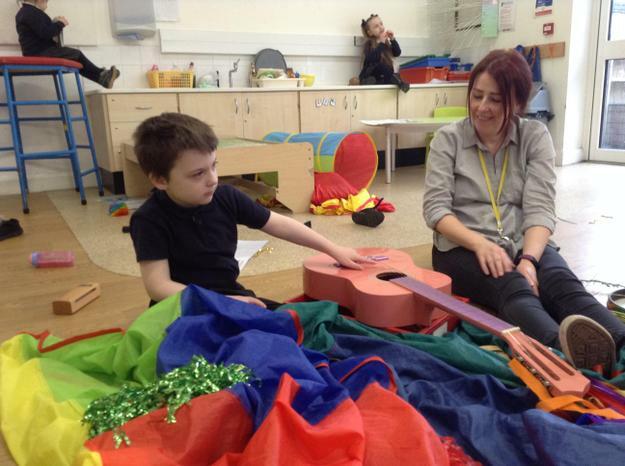 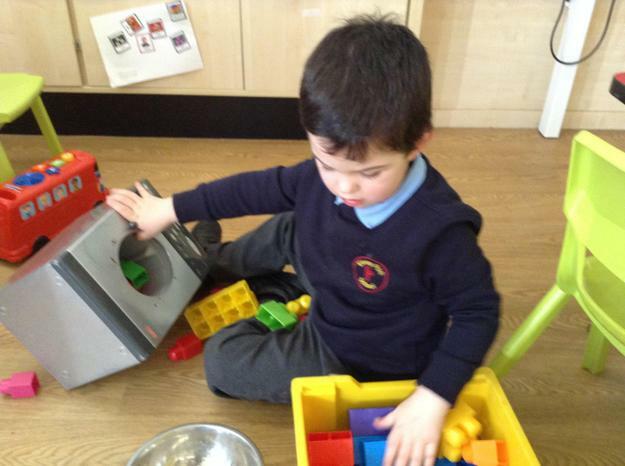 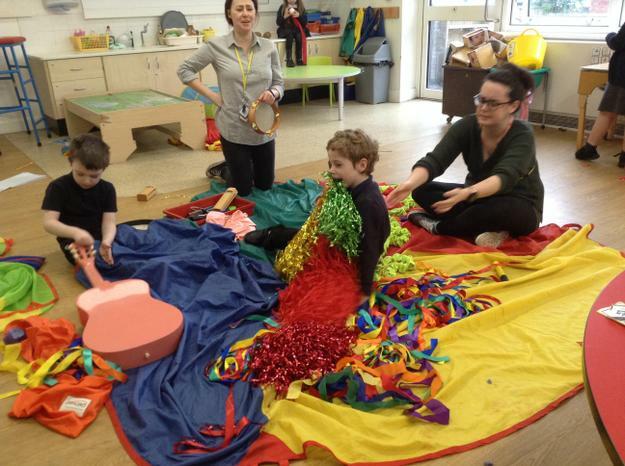 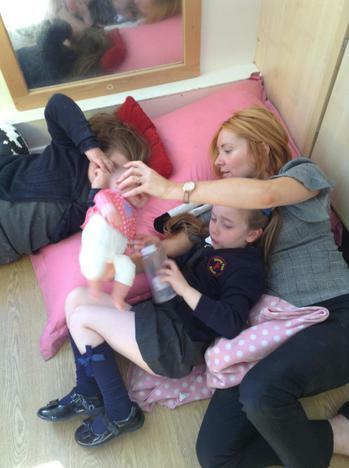 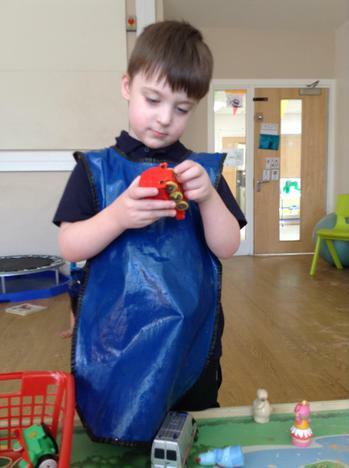 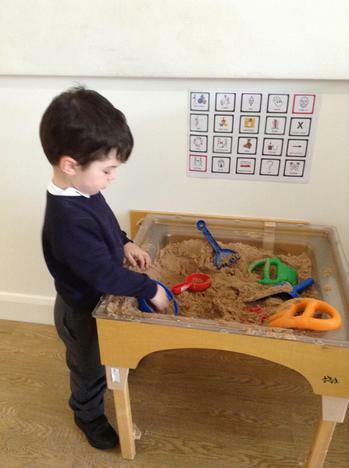 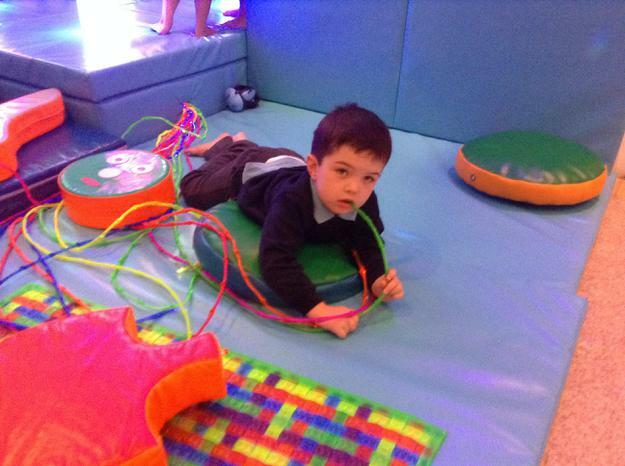 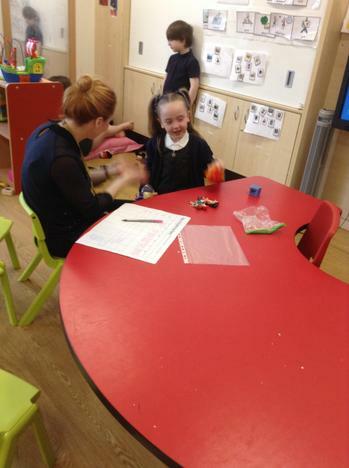 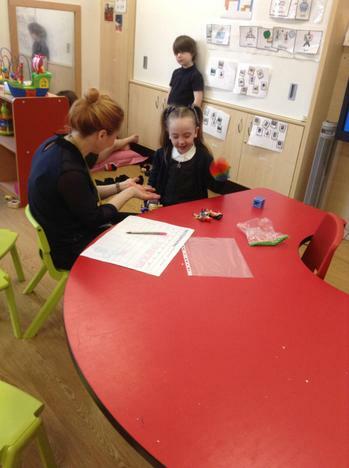 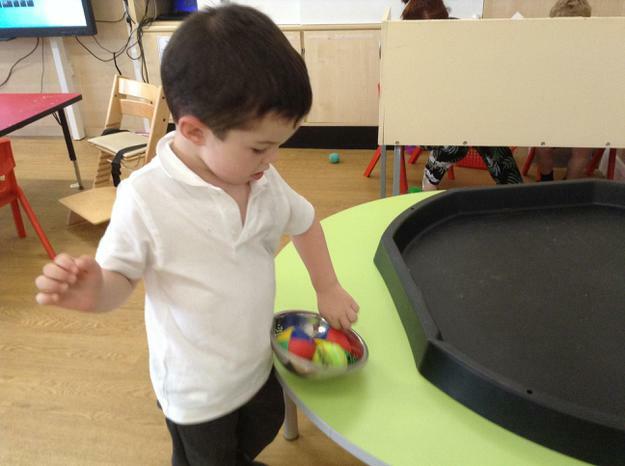 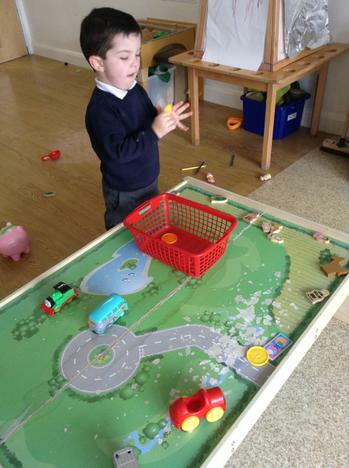 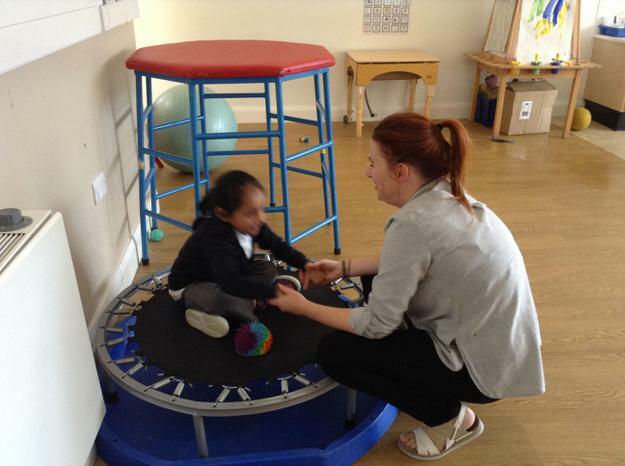 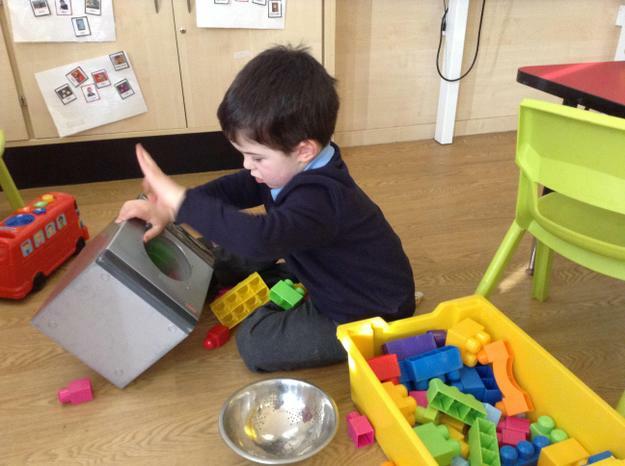 The children are becoming used to the language associated with familiar objects and have also been more willing to engage in play with other toys with an adult which is huge progress. 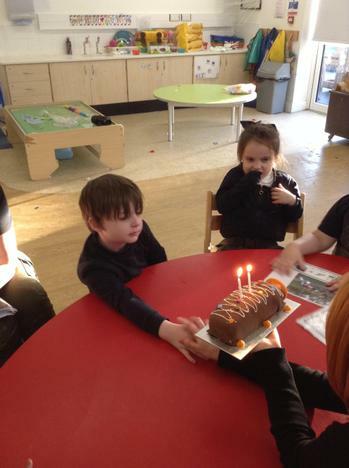 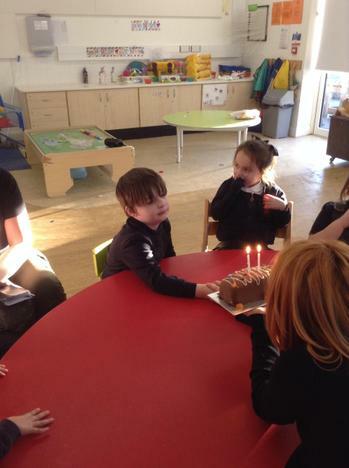 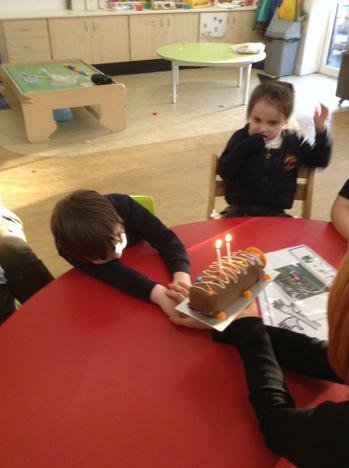 This term we have been learning about Birthdays and we were very lucky because we got to celebrate one of our Birthdays at the beginning of December. 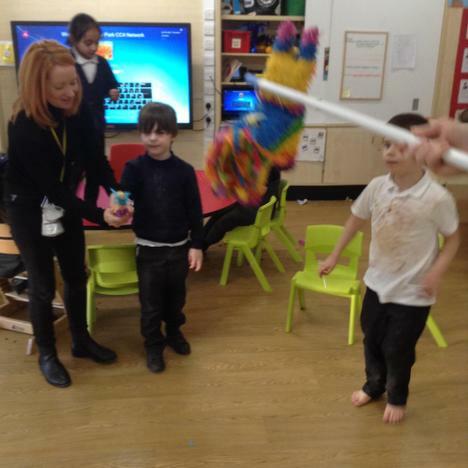 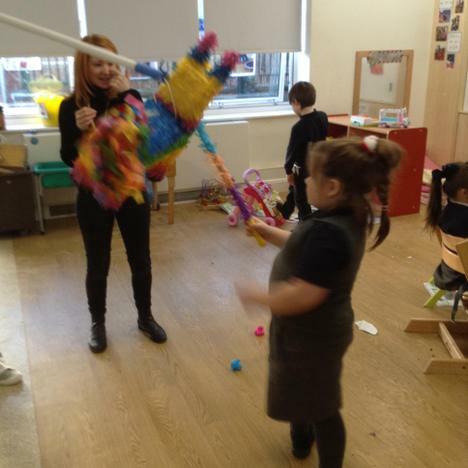 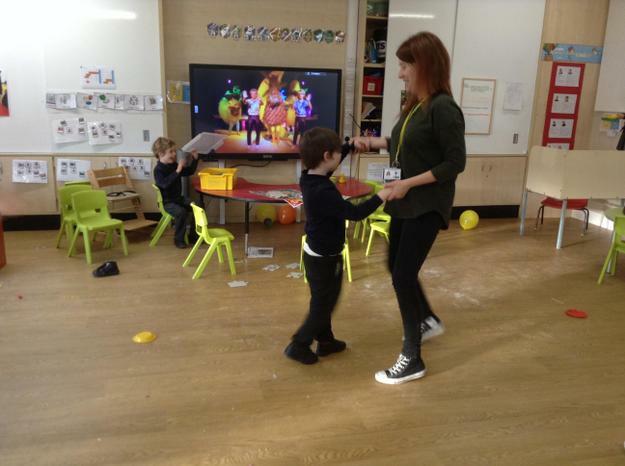 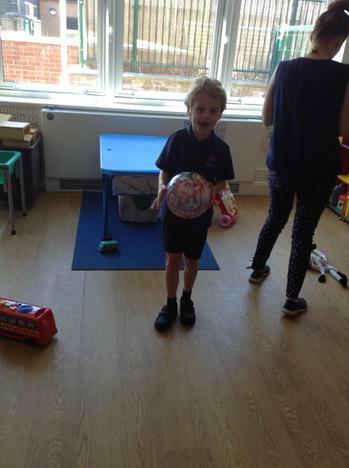 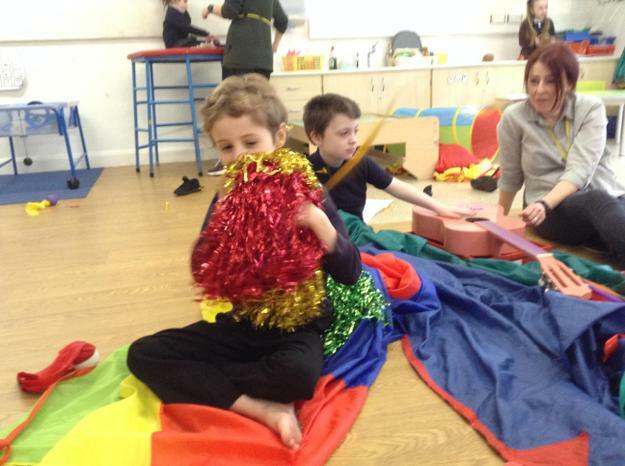 Max had his 7th Birthday and we made special cards and bunting and we all enjoyed a party, we ate tasty food, danced to party tunes, and played pass the parcel and we even had a Birthday pinata to hit. 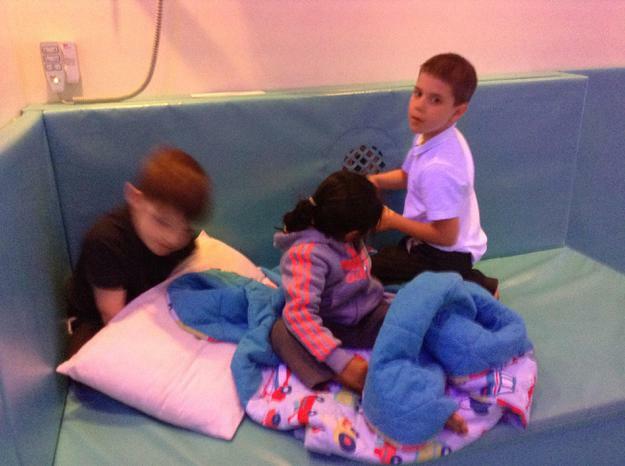 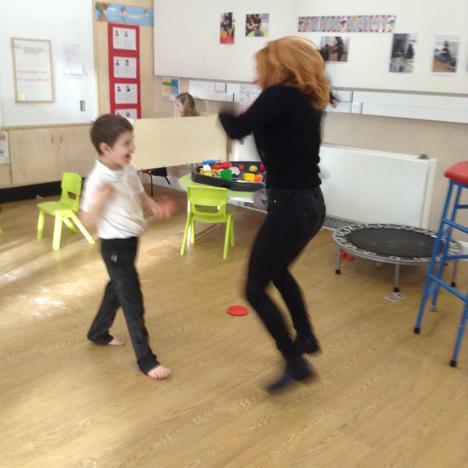 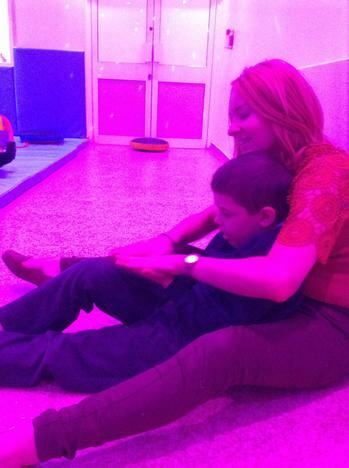 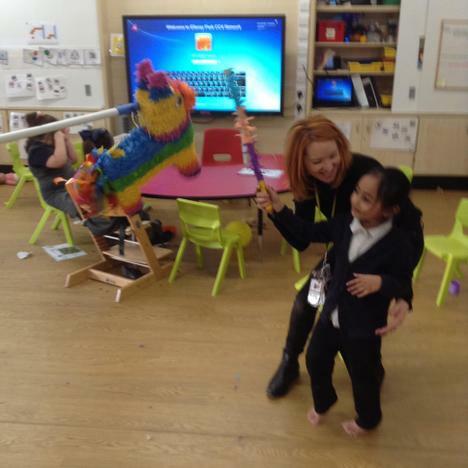 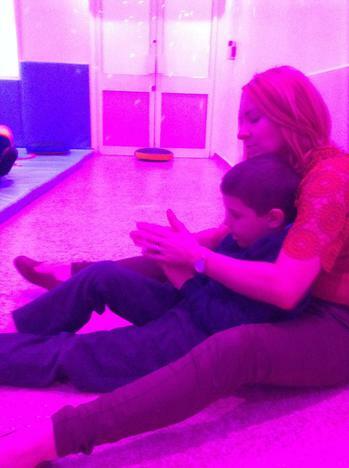 It was nice for the children to experience a different occasion and to have some social time with us and their friends. 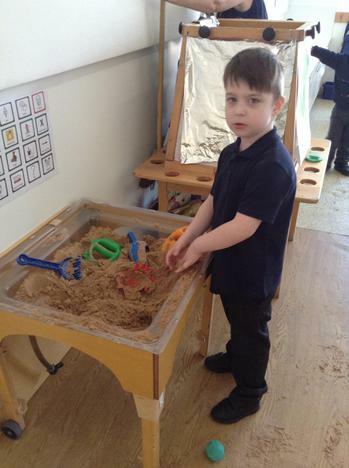 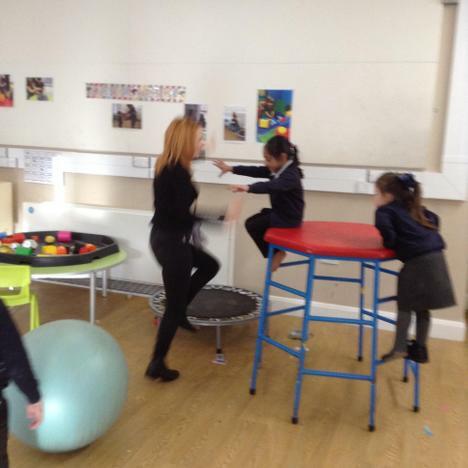 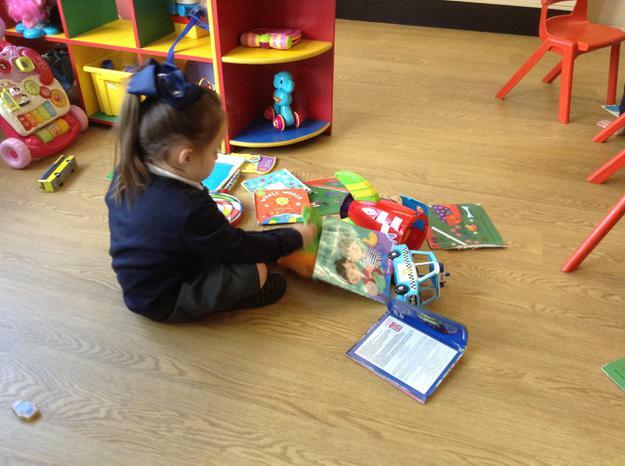 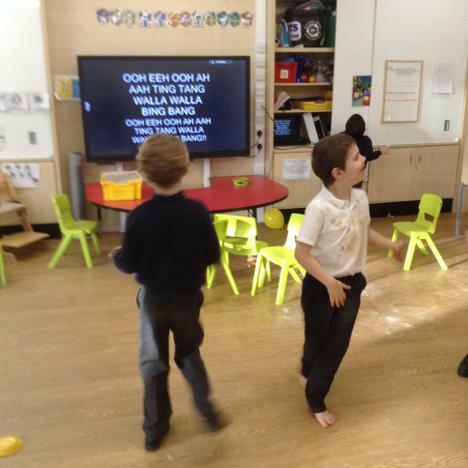 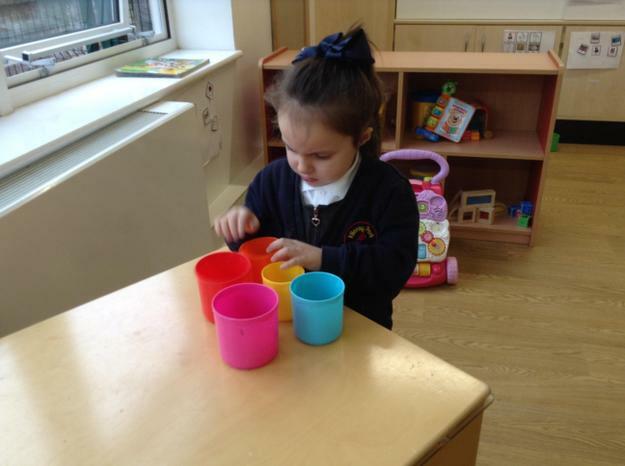 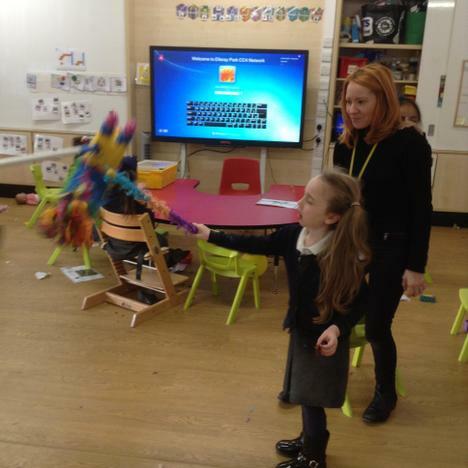 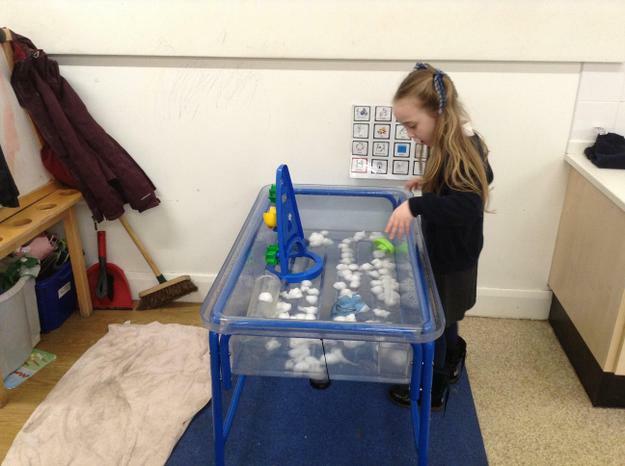 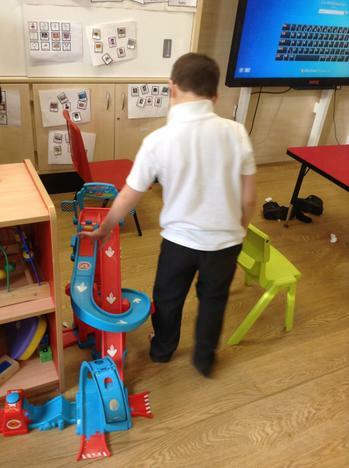 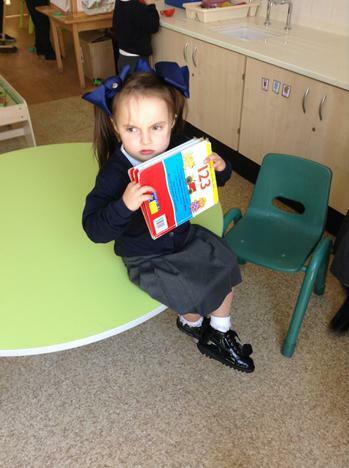 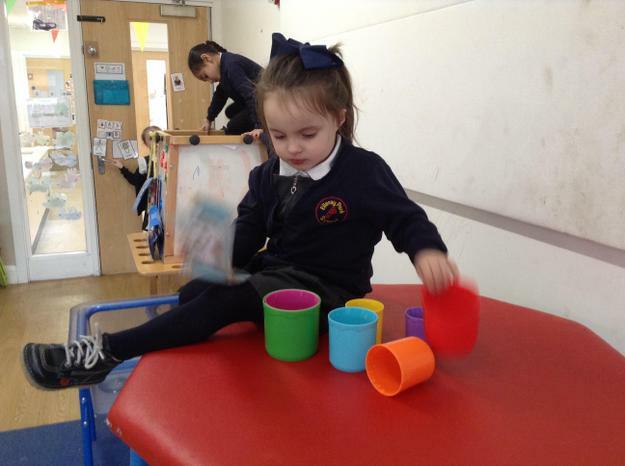 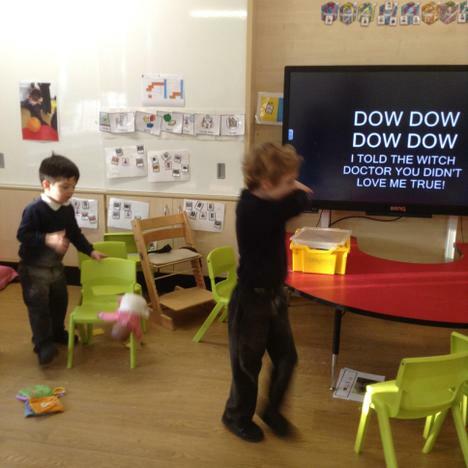 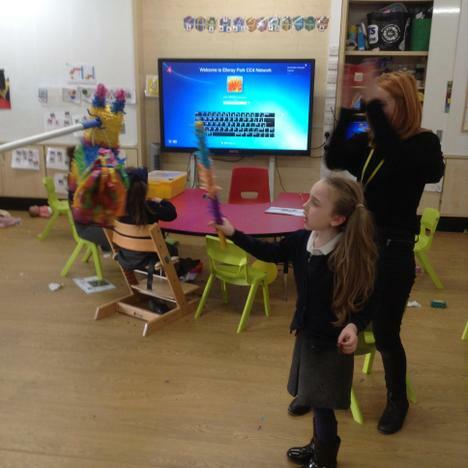 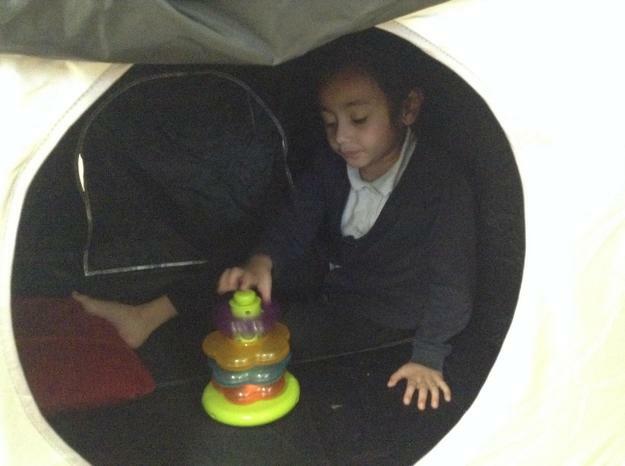 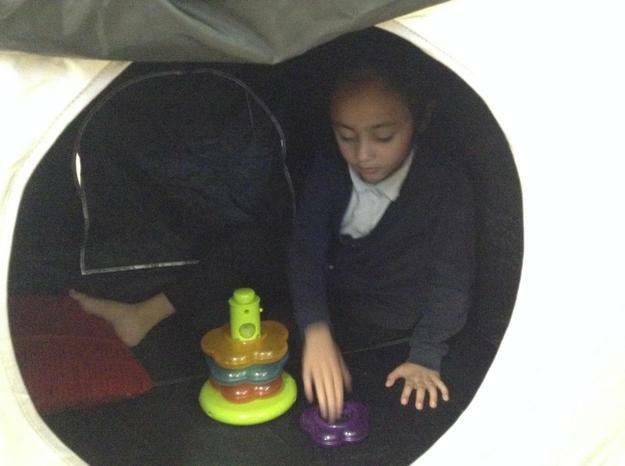 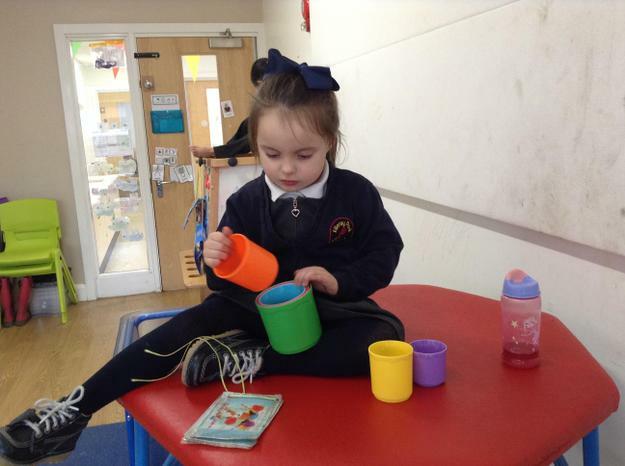 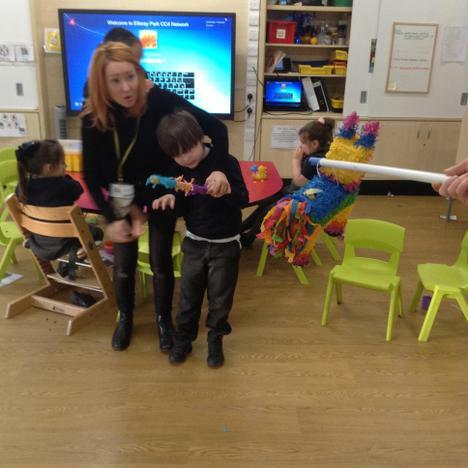 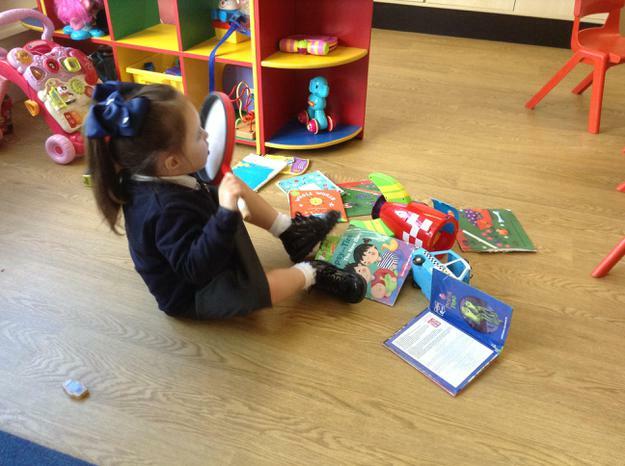 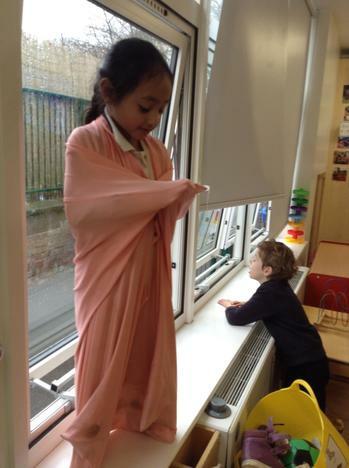 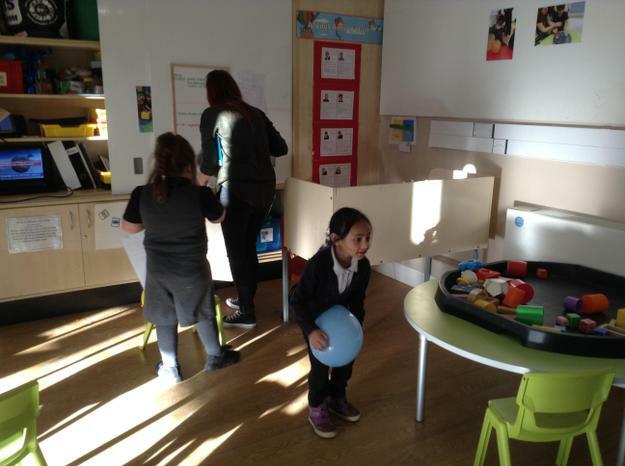 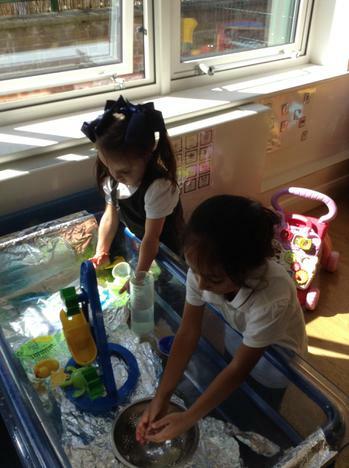 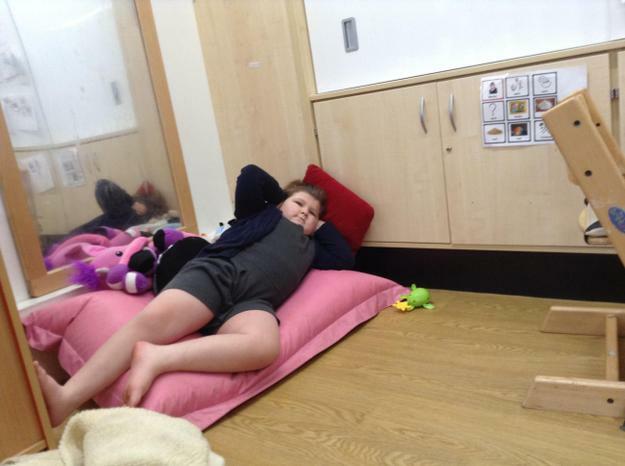 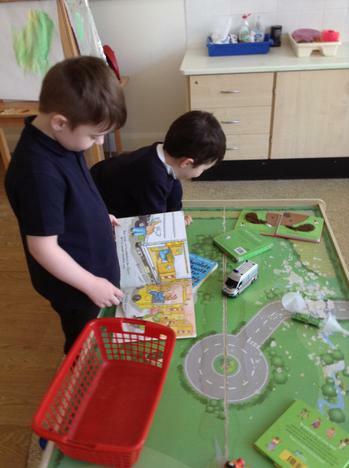 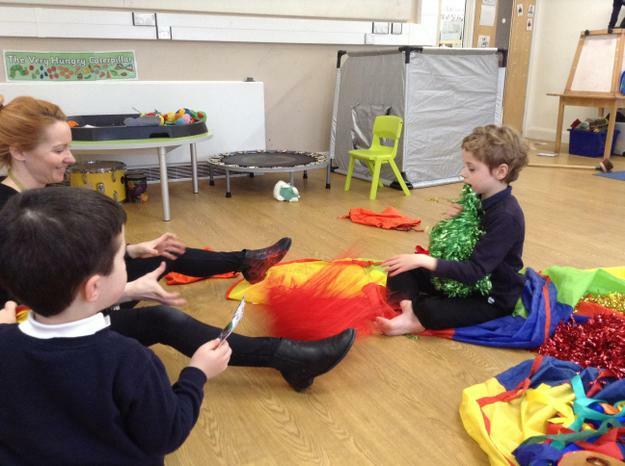 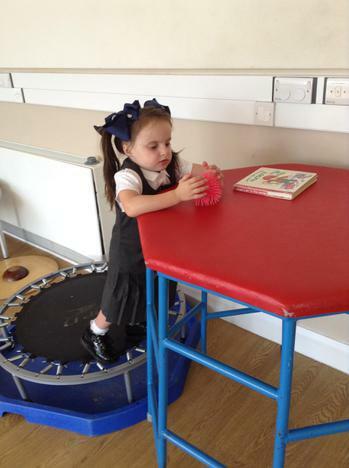 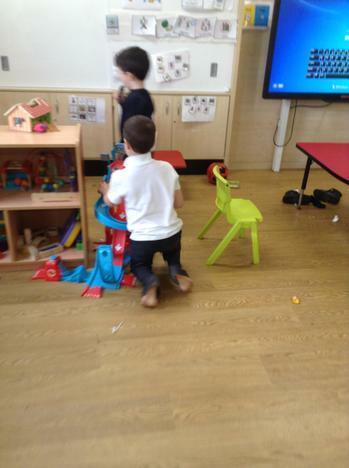 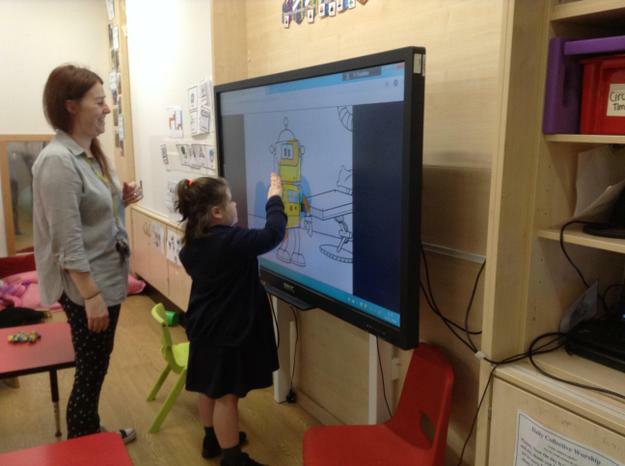 Play is a very important part of our curriculum and the children in Lime class have lots of time throughout the school day to independently explore the classroom environment. 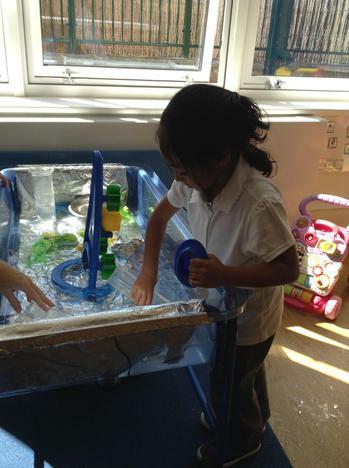 This may involve bouncing on the trampoline, digging in the sand, filling and pouring in the water tray or looking at books.